Jess is an associate in our EU disputes team. She advises on competition and regulatory investigations and competition and commercial disputes. Jess is also a member of the firm's Global Business and Human Rights practice. She advises clients on compliance and best practice in respect of national and international business and human rights standards. 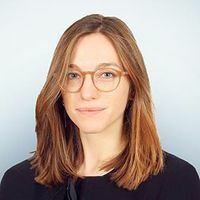 Jess recently completed a six-month secondment to our Paris office. She speaks fluent French and has a working knowledge of Spanish.